Congratulations to Eoin Kennedy who won an epic 60x30 Mens Senior Singles Semifinal on Saturday 19th. Eoin came from behind in the first set, and was tested by Meath's Brian Carroll before prevailing on a 21-18, 21-20 scoreline. Eoin will meet Robbie McCarthy in the final on 2nd September in the Croke Park Handball Centre. Saturday 26th at 4pm St Brigids play Junior C Football Championship Final v Lucan Sarsfields in Parnell Park- please travel to shout for the lads. Junior A Hurlers had a great Quarterfinal win on 19th August and play Erins Isle in the semi-final in two weeks time. Make sure to support the lads. 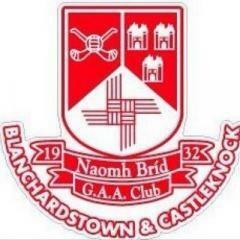 On Saturday 26th there are two adult league home matches at 6.30 AFL3 play Ballyboden and AFL4 play Clanna Gael. AFL4 game V Judes Wednesday evening also. Nursery Camp 21st - 25th August (age 4 – 6). The Nursery camp is from 10 to 1 each day for the coming week. You can sign up for the camps via the website www.stbrigidsgaa.com. You can come down on the day at 9.30 and register if not already done. There is a Club Coaches night on 1st September, this is part of the 2020 project and it is a vital forum, the club wants to develop and support our coaches. If you are coaching at any age be sure to attend our Club Gala Dinner 2017 will take place in the Hogan Suite of Croke Park on October 14th! A brilliant club night is in store for all! St Brigids 5k is set for 17th September 10am, it takes place on All-Ireland Football Sunday. Individual or “Team of 4” entry is possible, hoping for a huge club occasion –Click on https://register.primoevents.com/ps/event/StBrigidsGAA5k to register. T-Shirts and Goody Bags for early entrants. Nursery resumes on Saturday 2nd September 9.30 to 11.00 am with all 4 to 7 year olds welcome. Club Lotto is taking a summer break, with the next Draw on 7th September.